DC Mayor Vincent C. Gray, Dr. Robert L. Woodson Sr., president of the Center for Neighborhood Enterprise and The Reverend George Edward Holmes, a member of President Barack Obama’s National African American Clergy Leadership Working Group, and chaplain of the District of Columbia Democratic State Committee, last week supported the celebration of the House of Help City of Hope graduation ceremony and fundraiser, where a class of 27 men and women were recognized for starting new lives by completing the first phase of the faith-based substance abuse and homelessness program. As it now stands, House of Help City of Hope itself needs a miracle. 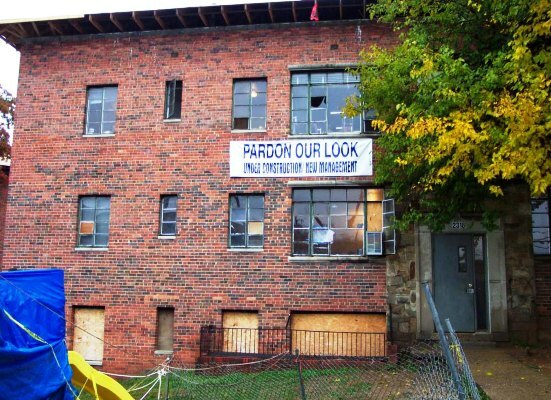 “We are trusting God for a miracle because the owners of the [women’s facility] property are legally running out of time to act to sell the building, which means we too are challenged,” said Bishop Dr. Shirley Holloway, founder and CEO of the 501(c)3 House of Help City of Hope and creator of the faith-based, “hand-up, not hand-out” treatment programs. “My business mind tells me that someone could buy the building and lease it back to us, or someone could buy it and sell it back to us over time. I believe if we could show a deal in principle, we could slow this process down and give us time to gather ourselves and secure additional funds. And we’ll also soon have to position ourselves to buy KingdomCity [men’s facility] as well,” Holloway added. “Our financial house is in order and we have been excellent stewards, properly maintaining our facilities and consistently meeting our financial obligations, but we were not expecting to have to purchase these properties on such short notice. 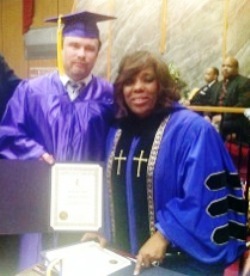 But we are expecting a breakthrough or benefactor to appear right now!” Holloway continued. The House of Help City of Hope takes in those who need help regardless of race, creed, color, sexual orientation or religious conviction, whose “…programs have proven to help enrich the quality of life in our community,” added the mayor. In its nearly 20 years in operation, House of Help City of Hope has helped over 30,000 people. 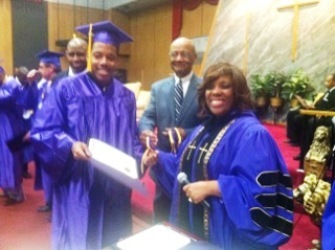 Standing arrow straight and smiling was a 2013 lady graduate whose quality of life has been redeemed. “It’s hard to believe that just a few months ago, I was so far out there on [the street drug] ecstasy that I was almost little more than a play toy for depraved, violent men,” said the graduate. “I don’t want anyone to feel sorry for me, or for my background, or the choices I made—but if it wasn’t for the Bishop, I might be dead right now, instead of graduating from the House of Help and preparing to start a new job, continuing my education and have a spiritual foundation to lean on,” she added. “We receive people just as they are. They come to us from various referral sources with the mutual expectation that they are being prepared to resume productive lives and not be permanently dependent on us or any program,” said Holloway. House of Help City of Hope has a recidivism rate of 15-25% compared to the national average of 30-59% for drug court graduates and as compared to a 75-80% recidivism rate for those not participating in any structured program, according to a June 2008 research report commissioned by the Virginia Drug Treatment Court Advisory Committee: Planning and Development Subcommittee. “One of our most unique features is that we shelter women and their children at KingdomVillage [women’s facility], whereas most shelters will not take in women who have their kids with them,” said Holloway. “So many women who need mental health services or to escape physical or sexual abuse are forced to forego the residential treatment and counseling they need, in order to keep their children, which often also puts the children at greater risk. We remove that barrier at House of Help City of Hope and strongly promote family stability,” added Holloway. 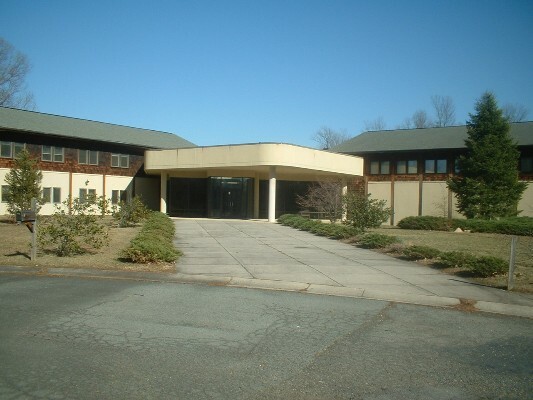 KingdomVillage is a certified clinical treatment facility and shelter with a capacity for 150 women and children, with an in-house prayer sanctuary, located in Prince George’s County at 2420 Brooks DriveSuitland, MD. 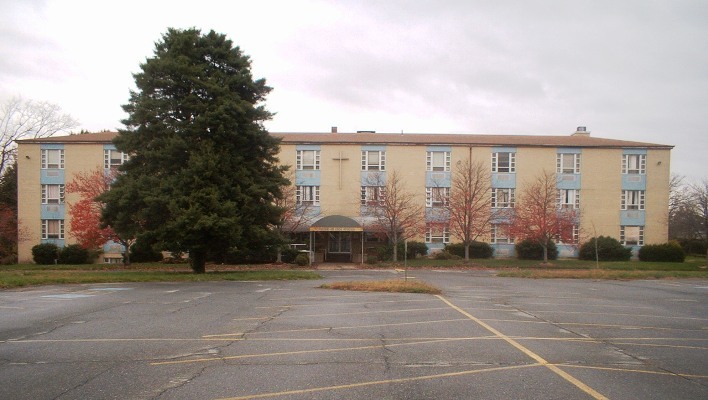 The men are housed and treated at the “KingdomCity” 330-bed certified drug-treatment center and men’s shelter, also equipped with a sanctuary, located in CharlesCounty at 11100 Billingsley Rd, Waldorf, MD. 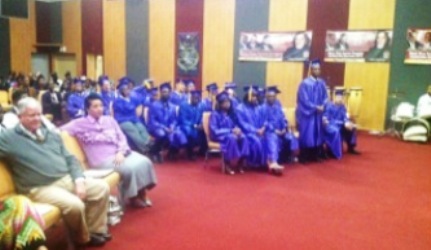 “We provide the same basic services for men at KingdomCity as we do for the women at KingdomVillage, including anger management counseling, life-skills training, job preparation and job placement assistance,” added Holloway. She says that they learned over time that it is better to separate the sexes during the critical early treatment phases of her programs. “It’s too much of a distraction for people in the program, it’s better to house the men and women apart for obvious reasons,” said Holloway. “But we have had roughly 100 successful marriages that have come about through people connecting within our work-life and faith-based outreaches within programs and right now we are celebrating two recent engagement announcements!” beamed Holloway. “And for the first time, we graduated a teenage young lady and a young man which, frankly, I did not think we were up to. But I now we believe we can help more families in this way,” she continued. 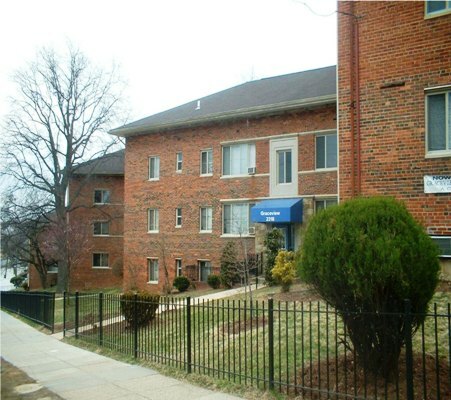 The House of Help City of Hope transitional housing and treatment phases are 90-days, 6-months, and 5 years for ex-offenders, after which includes possible transition to its Graceview Apartments facility, which it owns, located at 2322 16th Street, SE Washington, DC. The complex has 42 safe and affordable one-and-two bedroom transitional apartments, and avails tenants to optional participation in the “Homelessness to Homeownership” program, of which there are a number of graduate homeowners. When Holloway acquired the Graceview property, it was a dilapidated haven for drug dealers and prostitution and a nightmare for DC police. “Before we took over that property, [utility] meter readers refused come there without a police protection for fear of being robbed,” said Holloway. “We’ve come along way and it’s virtually crime free now and the police have thanked us for helping to make their jobs less dangerous in the area and the community safer,” she added. “Our calling is to equip and ennoble people, not further cripple them. No one sits around and watches us work,” said Holloway. Mayor Gray added a final hopeful message to his official statement of support for House of Help City of Hope 2013 graduation and fundraiser. “As you gather to celebrate this festive occasion, please continue your charitable contributions and continued support to youth programs, education, health fairs and community outreach activities,” said the mayor. “From the mayor’s mouth, to God’s ear,” said Holloway through a smile. Note: For more information about House of Help City of Hope, to financially support its programs, make donations of goods or services, or speak to Bishop Dr. Shirley Holloway, you may call her at (202) 889-2942. This entry was posted in Bible, Healthcare, Homelessness, Jesus, Media, Mental Health Counseling, Politics, Religion, Spirituality and tagged Barack Obama, Bible, Bishop Dr. Shirley Holloway, Christianity, Rev. George E. Holmes, Robert L. Woodson Sr., Vincent Gray. Bookmark the permalink. Thanks so much for both of the posts about this wonderful program. I had never heard of it, but now I am going to be watching carefully. This kind of news story is so heartening, but then, who knows what problems budget cuts and higher taxes may bring. SO kind of you to read and write. Thanks so much!